While just five percent of visitors say they visit Las Vegas to gamble, 87% end up having a flutter, losing around $6-billion a year in the process. 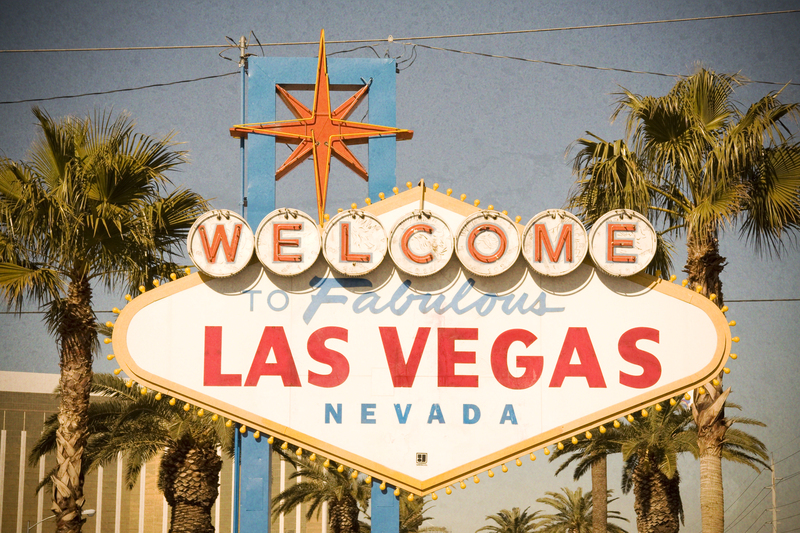 Gambling was legalised here in 1931 and Vegas took off when the infamous Bugsy Siegel opened the Flamingo Hotel in 1946. Today there are more than 1700 licensed gaming establishments. Better still, you don’t even have to catch a plane to gamble online. 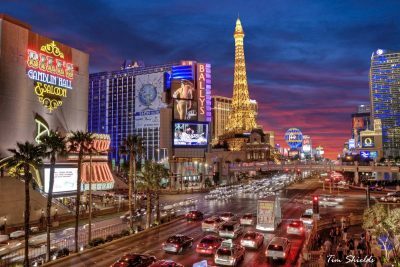 But even if you subscribe to the old dictate that the surest way to walk out of a casino with a million bucks is to walk in with five million, there’s plenty of other stuff to do in Las Vegas. Leaving aside organised entertainment, if you’re in the city for a shortish time, the best thing to do is simply drink it all in. Irrespective of how urbane and well-travelled you may be, the over-the-top wonder of the place will cause you to gawp and point like a country bumpkin. Should ogling the miles of lighted neon tubing on the Strip and downtown wear thin, you can take in the light and sound show at the Bellagio Hotel’s fantastic fountains or the eruption of the volcano every 15 minutes, at the Mirage Hotel. You could ride the Big Shot, 115 storeys high, atop the Stratosphere hotel, which will launch you an additional 50 metres higher. It’s quite simply astounding! You can take a gondola ride at The Venetian, where your gondolier will serenade you. 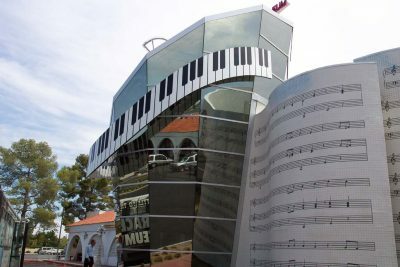 Alternatively, you can visit the Liberace Museum or gaze in mild disbelief at the façade of the New York, New York hotel. You can get married, too in a city that performs more than 315 weddings a day. 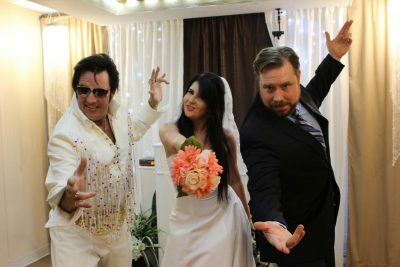 Elvis Wedding Packages start from $300 where Elvis impersonators will serenade you live, performing songs, your vows and even walking you down the aisle.